The most important email you can send today is to volunteer@goodkarmabikes.org and ask what you can do to help them move. They especially need folks to come in on Sunday to join their Move Team but the move effort will take place on weekdays too. Good Karma Bikes usually asks volunteers to go through orientation and sign up with GoVoluntr but since this move is a one-time event they’re asking for immediate help. If you’re in the San Jose area please contact them right now. Really. Right now. You can come back to DIYBIKING.COM later. 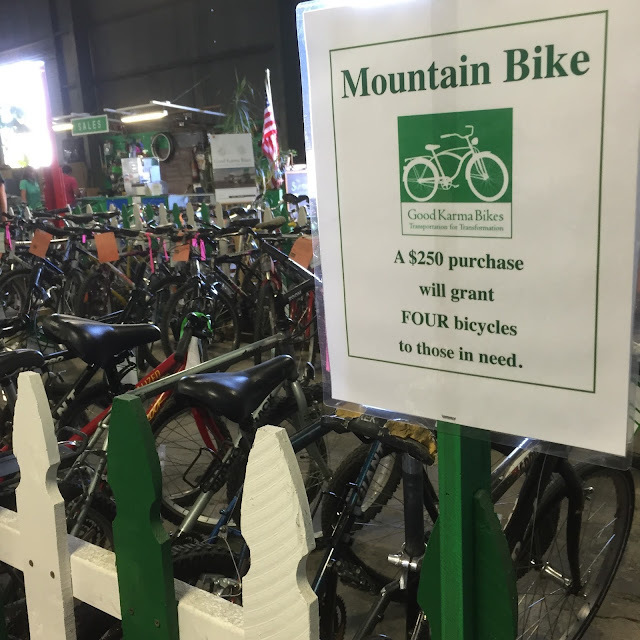 During their regular shop hours today (2:00pm - 6:00pm) GKB is offering free parts pulled from bikes that have come into the shop over the years. They’re used, as-is parts like handlebars, rear racks, cassettes, seats and so forth but were kept at their 345 Sunol St. location because they could keep them. 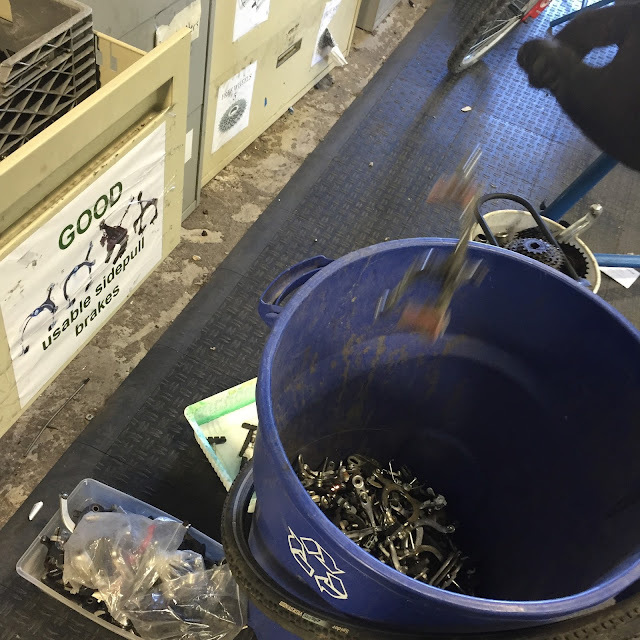 I can relate since my Stamford, Connecticut workshop held on to every part of every bike that went through the Saved from the Scrapheap challenge just because I had room to store everything - and you know how skilled I am organizing things that no human being needs to keep. 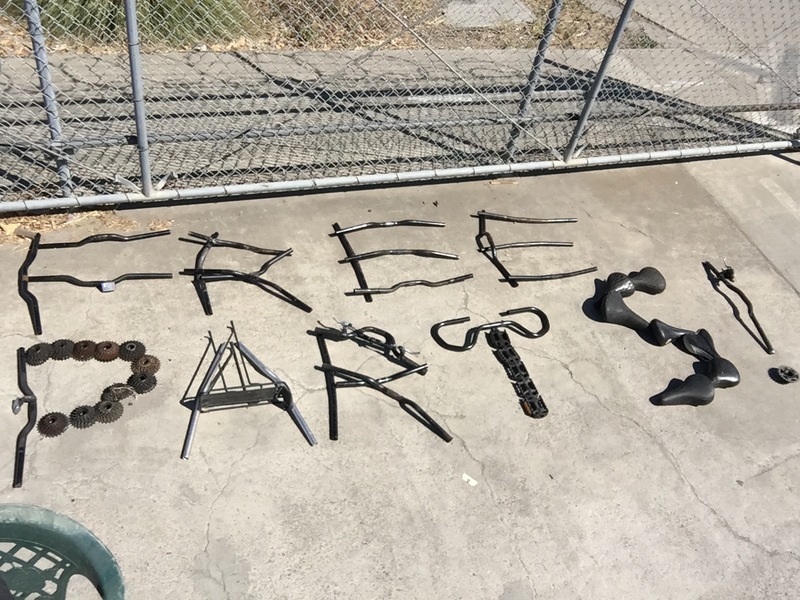 When I moved to San Jose the useless stuff finally got thrown away while I gave the useful but not needed stuff to the Bridgeport Bike Co-Op and Domus (my friend at Rippowam Labs, as you know, got the cargo bike I welded from several trashed frames: the BikeDucken). 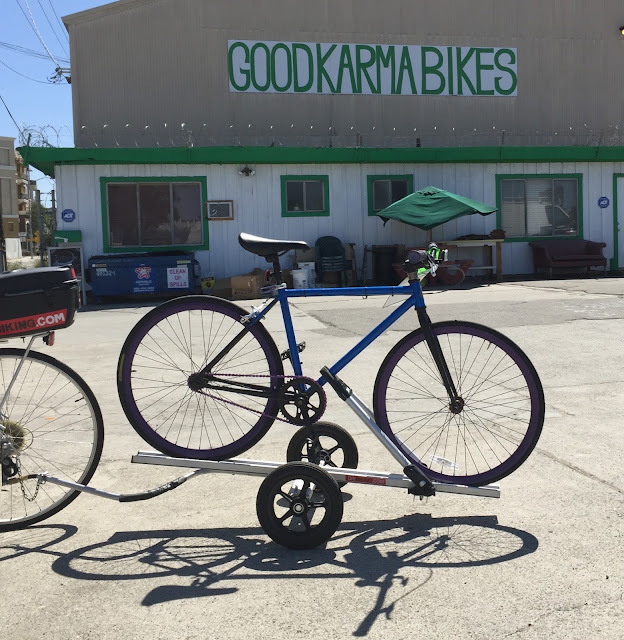 If you have a project or in-progress bike either at home or in your head now is your chance to sift through some free parts at Good Karma Bikes. It goes without saying that I want you to actually go into the shop and get a new bike, some new shoes or some accessories while GKB is open today from 2:00pm to 6:00pm and again on Saturday from 10am - 5-pm. As of this writing the shop is not open on Sundays. We had a couple of ‘Spare the Air’ days in the Bay Area this week…which doesn’t mean a whole lot to people who don’t own a good bike for everyday commuting. Now is your chance to get some new wheels so you can #choosethebike. How you get the bike home is up to you. 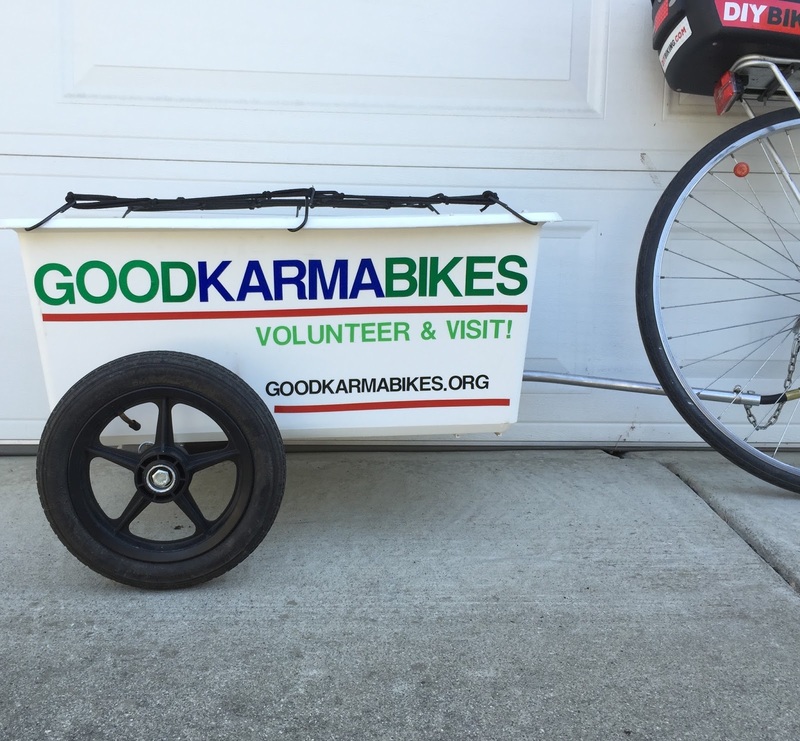 What I wrote above bears repeating: email volunteer@goodkarmabikes.org and ask if you can join their move team. I was actually part of last Sunday’s effort and spent a a little time sorting parts and helping them get things organized. Don’t worry if you don’t have a lot of (or any) knowledge about bikes. There will be someone from GKB there to talk you through it. What I wrote before still stands: if you have a non-totaled/non rusted hulk/non-WalTargetMart bike to donate please wait until they move into their new location on Lincoln St. Also GKB is really planning to move their entire bike inventory on foot to their new location on Lincoln St. (it’ll be a gorgeous series of photographs to be sure) but they’re still ironing out exactly when that will take place, so please like Good Karma Bikes on Facebook in order to get news about the move and new events. I’m heading to GKB this morning to volunteer. 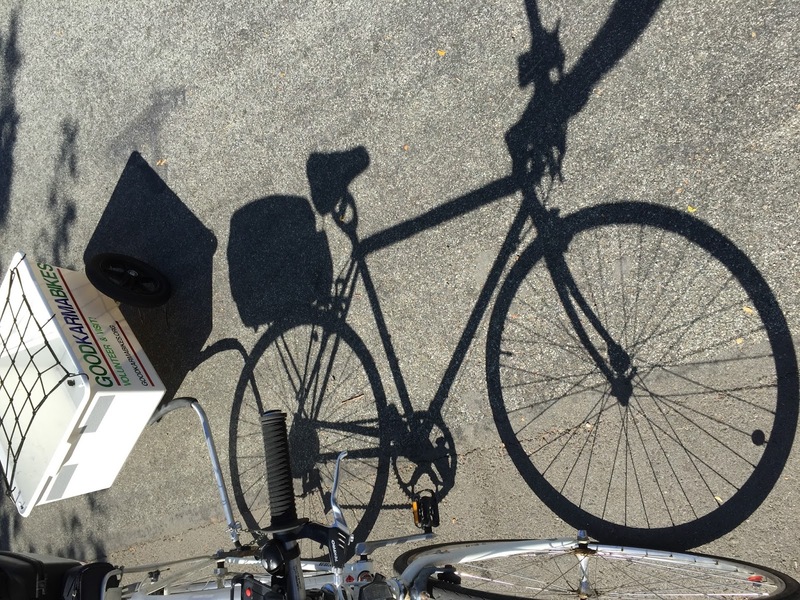 Look for my bike with the homemade trailer on it. I assure you I’m not raiding the free parts - I need to pick up groceries on the way back. Thanks for reading and thanks for riding.